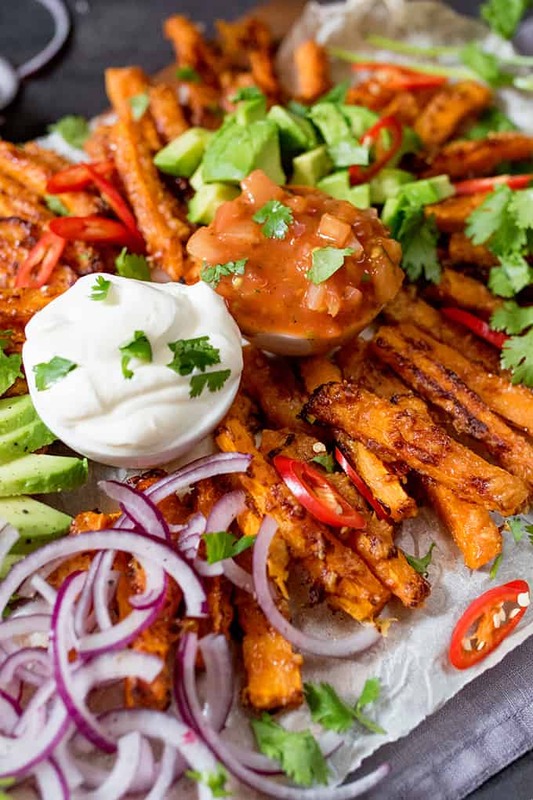 A lighter alternative to those crisps and dips – try my loaded Mexican-style carrot fries! It might sound a bit crazy to turn carrots into a Mexican sharing dish, but we have raw veggies and dips right? 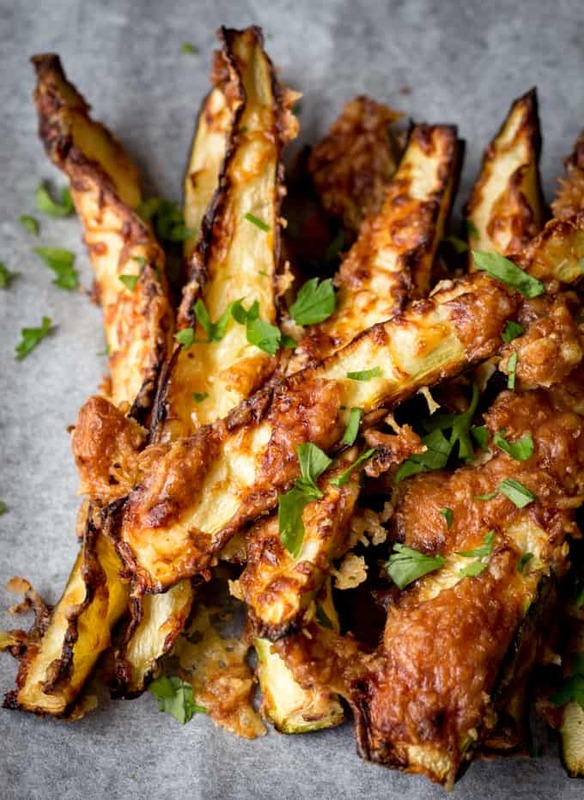 These are based on my Baked Parmesan Carrot Fries but kicked up a notch with those delicious Mexican flavours! 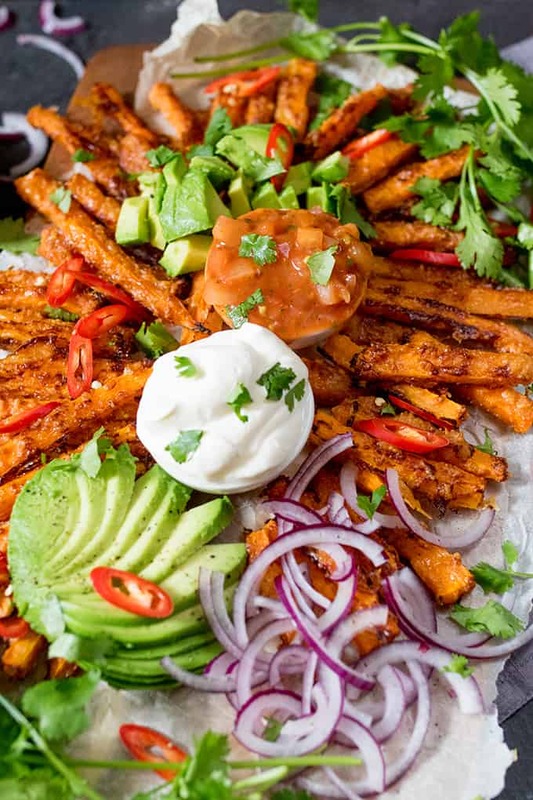 Loaded Mexican-Style Carrot Fries is the kind of food you put on the table in front of your kids and they go ‘Yay!! !’ because it looks like gorgeous, colourful party food. Added to that, they don’t need to use knives and forks, and they can dip and splodge to their hearts content. All the while, I’m rubbing my hands together gleefully, because I managed to get them to eat carrots as a TREAT! 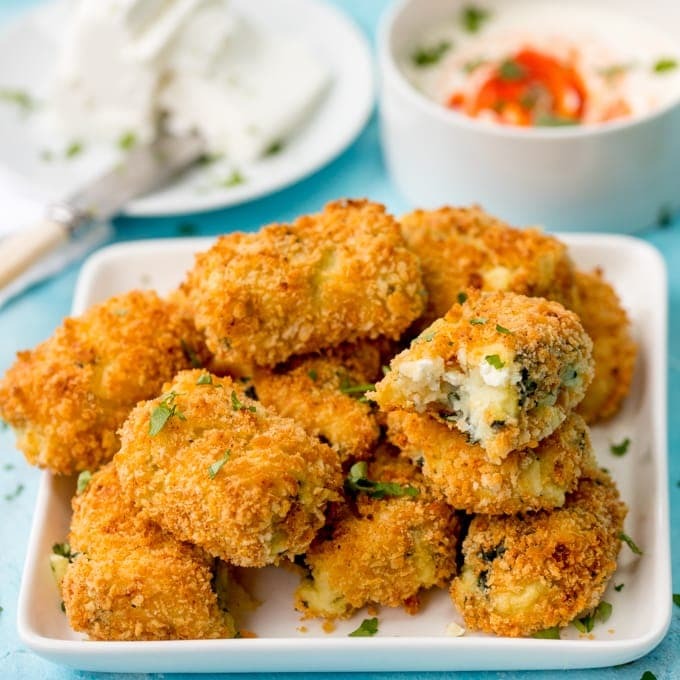 If you want to add another veggie, you could do some courgette fries too. Double delish! So how has your week been so far guys? I’m feeling a little frazzled at the moment – working days, nights and weekends. Hopefully things will calm down next week, but coffee is my best friend right now. And of course it’s the Easter holidays next week! Now that the kitchen is done (reveal coming soon, I promise, just got to get through a week or two of other backlog video work first), we need to get started on the garden. Booooring! I really don’t enjoy gardening. That’s not 100% accurate – I like growing herbs, fruits and veg – I just can’t be bothered with all the mowing, weeding and flower planting. I think to me, it only feels worth it if I’m going to eat it. Yep, thinking about my stomach once again! Hopefully in April we’ll get to the point where we have a new lawn laid, BBQs cleaned and new garden furniture ordered. Then we can get started on the BBQ recipes and cocktails!! If you wanted to stick with the Mexican Flavours you could serve the Carrot Fries with these delicious Mexican Chicken Skewers with Picante Salsa or Crispy Fish Tacos. The kids have also requested a trip to Chester zoo, a picnic, a few movie days and playdates with their buddies. As always, i’m looking forward to a large Cadbury egg, eaten straight from the fridge (Mmmm love it when it’s crisp) and some more of these chocolate orange hot cross buns! I first made these Loaded Mexican-Style Carrot Fries for Superfood Magazine. 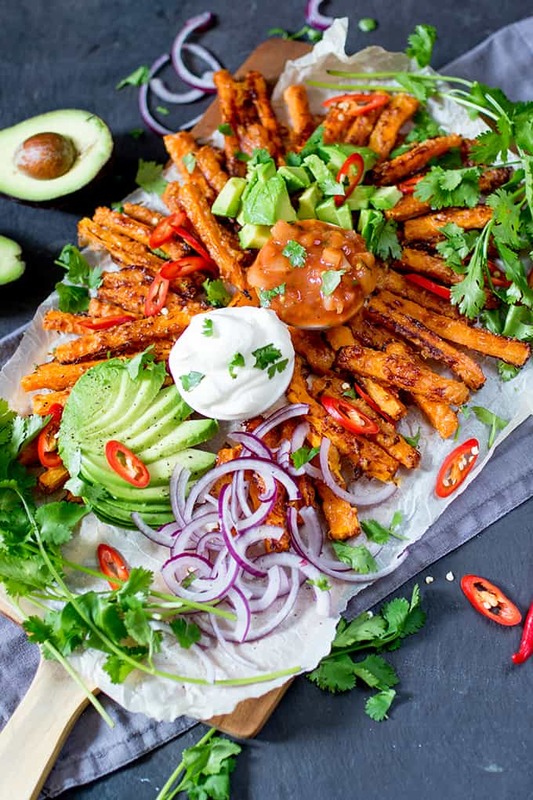 A lighter alternative to those crisps and dips - try my loaded Mexican-style carrot fries! 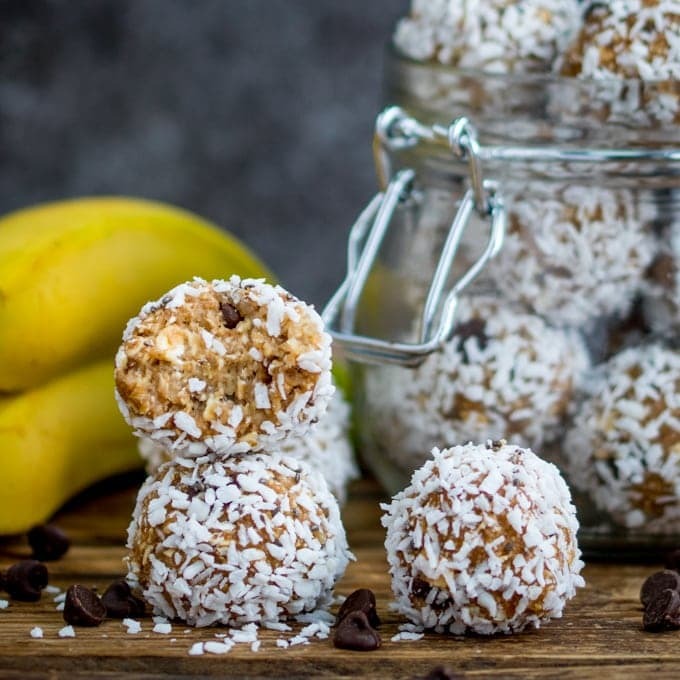 A great party food, snack or lunch. 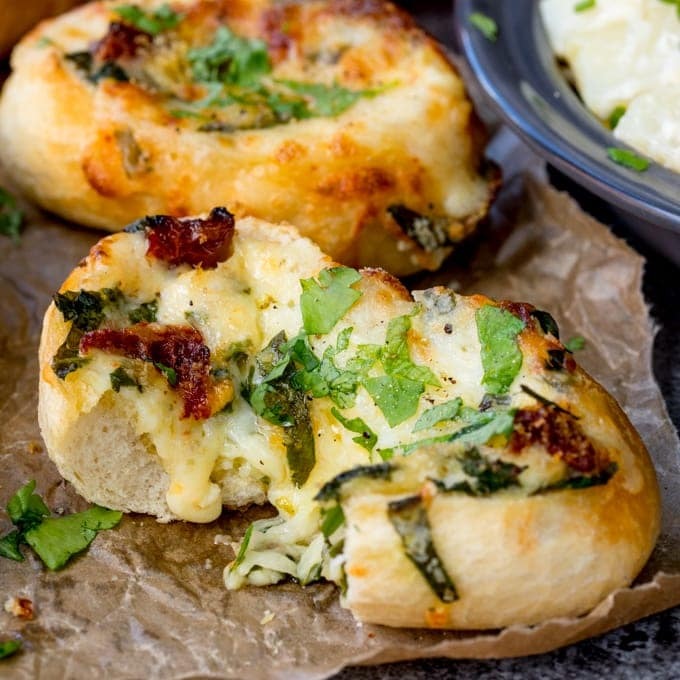 Vegetarian and gluten free! Preheat the oven to 200°C/400°F. Line a baking tray with parchment or a non-stick silicone mat. Mix the egg and water and place in a shallow dish. Place the grated parmesan in another shallow dish. Roll the carrot batons in the egg, then in the parmesan. Arrange on the baking tray so the carrots aren’t touching. Sprinkle on the salt and pepper and place in the oven for 15-20 minutes, turning once until dark golden brown. Remove the carrots from the oven and arrange on a plate or board. 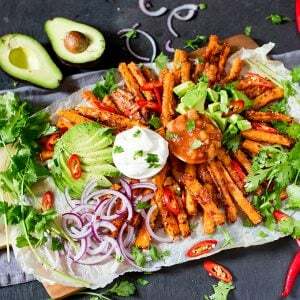 Top the carrots with the sour cream and salsa, then arrange the avocado slices and chunks, red onion slices, red chilli slices and fresh coriander on top. Serve immediately. 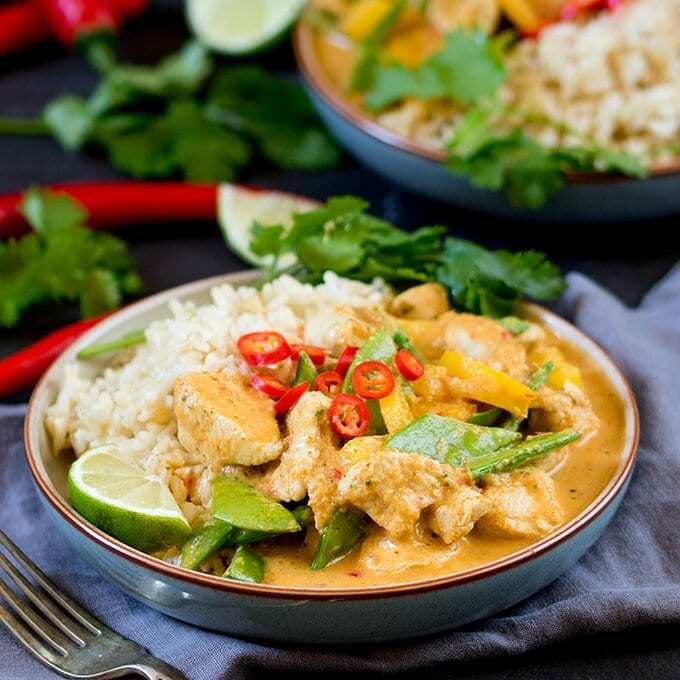 Perfect for the upcoming bank holiday get together, hoping for some sunshine so we can eat al fresco. What a great idea on using carrots, a much healthier version too. Looking so delicious Nicky! These fries are absolutely addictive and moderately simple to make. What kind of camera did you use to take these awesome photos btw?